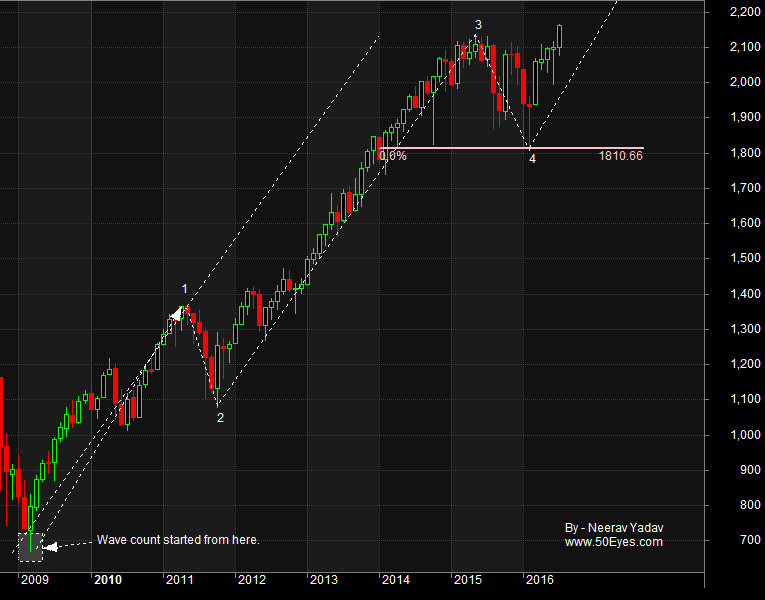 Previously I was considering only a bullish count in which the Wave 4 was completed but here I have analyzed an alternate count in which I have discussed the downside possibility. Which count will play out will soon become clear but if the downside plays out then we can see targets around the 1800 mark. To read the previous SPX report click here. Subscribe to the Email list for more such reports.